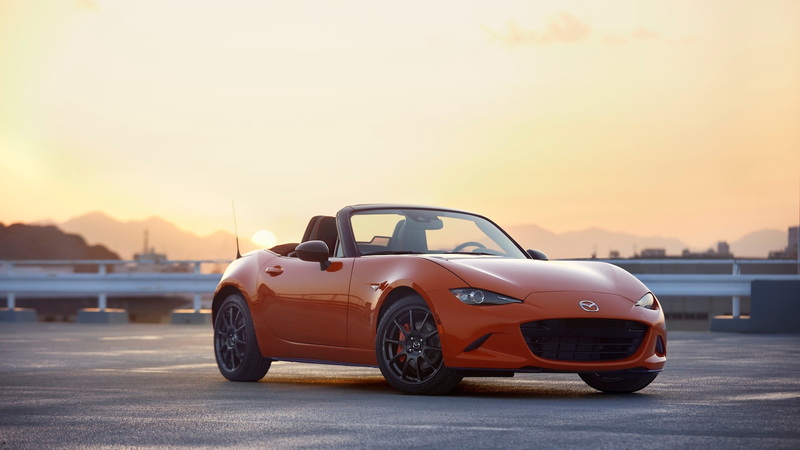 Mazda originally debuted the MX-5 Miata at the 1989 Chicago Auto Show, so it's only fitting that the Japanese automaker has chosen to celebrate the 30th anniversary of that vehicle by making the world premiere of the MX-5 Miata 30th Anniversary in Chicago. Mazda MX-5 30th Anniversary Edition will be made available in soft-top and RF retractable hard-top versions. Orange brake callipers complement the car's exterior shade, and United Kingdom models benefit from performance Brembo front brakes, too. The reveal of this edition coincides with the launch of the MX-5 nearly 30 years ago to the day on February 9, 1989. Rays developed a set of forged aluminium wheels especially for the auto, with "30th Anniversary" lettering etched on each rim. And getting your hands on one will be even trickier, that is unless you are one of Mazda's loyal MX-5 owners who will be contacted via e-mail and given first preference on a "first come first served basis". For us, the other primary way in which the 30th Anniversary differs from a regular model is the Recaro bucket seats with orange piping and Alcantara. The multimedia system supports Apple CarPlay and Android Auto. These were developed exclusively by RAYS for the MX-5. In Japan, you can order your 30th Anniversary with the base 1.5-liter, but the rest of the world gets the 2.0. Mazda is limiting the edition to just 3,000 units. If you want the soft top, it'll be $34,995, and if you want the RF, you're looking at $37,595.